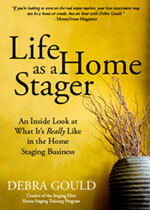 Owner of A Sense of Space Alison Doyle is a Staging Diva Graduate serving the Province of Ontario, Canada (Annex, Bloor West Village, Etobicoke, Leaside, Junction, High Park, Downtown, Kingsway, Roncesvalles and Muskoka) and she has a mini listing in her Directory of Home Stagers. Vlada Afilmov of Home New Look, House Staging & Redesign is a Staging Diva Graduate serving the State of Victoria, Australia (Mornington Peninsula, Melbourne Bayside, Melbourne South East, Frankston, Mt.Elisa, Rosebud, Mornington, Caulfield, Brighton and St.Kilda) and she purchased a full profile listing which comes with a free company brochure. Patricia Donaldon of Upstaged by Design is a Staging Diva Graduate serving the Province of Ontario (Orangeville, Caledon, Bolton, Grand Valley, Hillsburgh, Shelburne, Erin, Kitchener and Guelph.) has also purchased a full profile listing.